hat about an afternoon break sitting on this very inviting swing! This linen upholstered lovely was featured on a front Entry porch designed by D. Estes Antiques Etc of Cashiers, North Carolina. 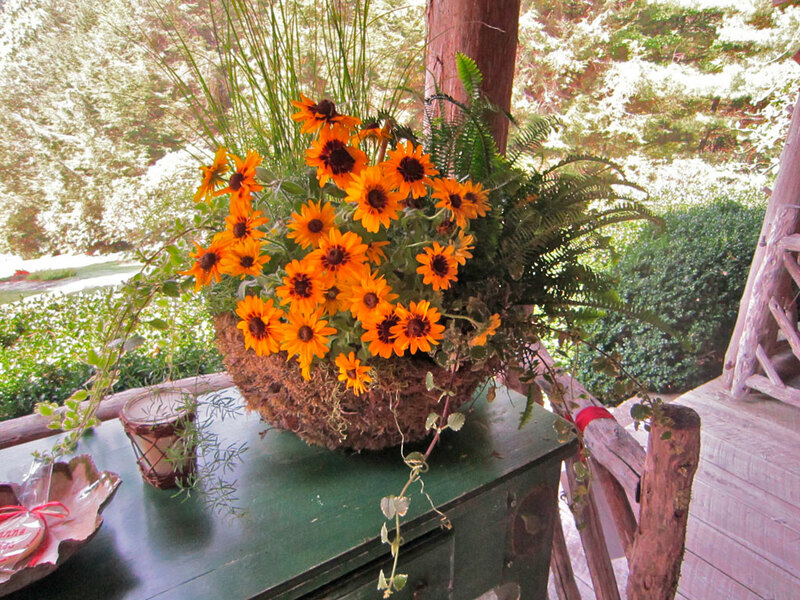 The swing is surrounded by Black-eyed Susan, topiaries and charming floral arrangements. 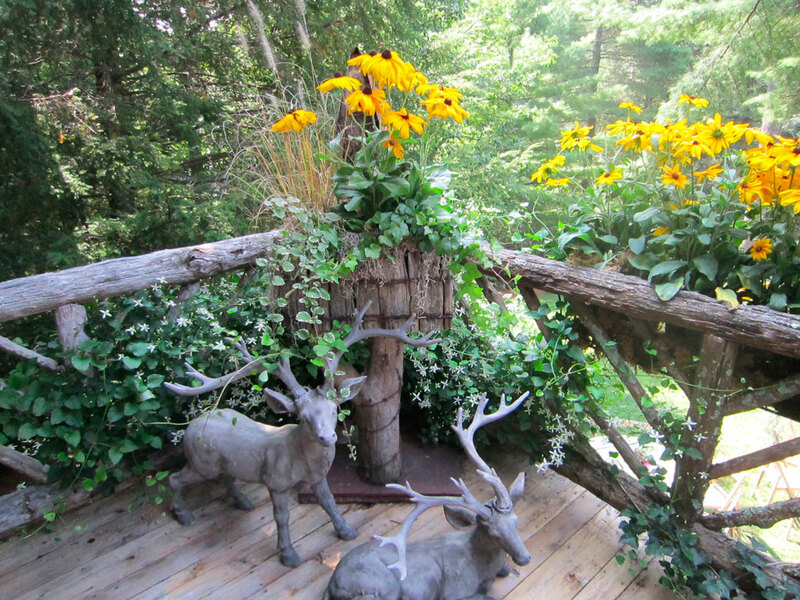 I particularly love the rustic rail of the porch and the deer placed at the side entry. 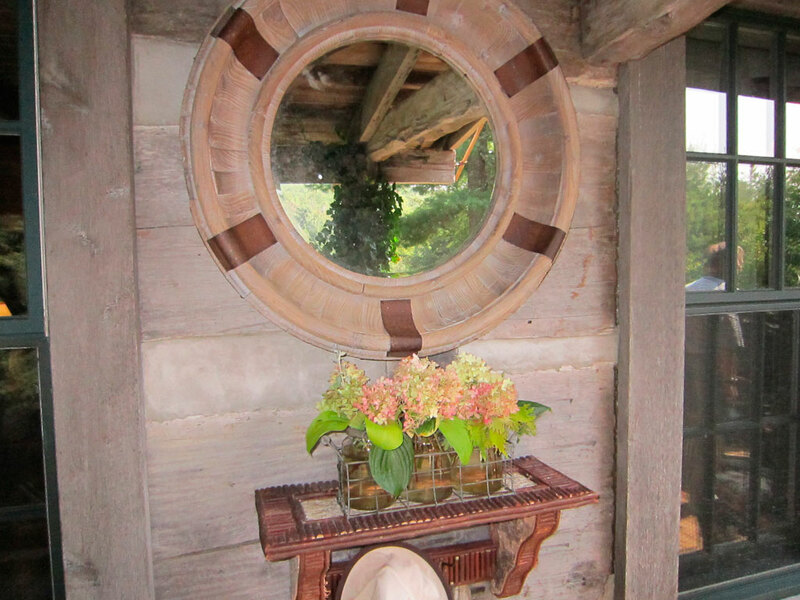 There are many ideas from this charming porch that would be great for any entry, but my favorite is the small mirror and table beside the front door—a quick check before entering is always good! Me too!! I could spend a lot of time on that porch. Happy Friday!! 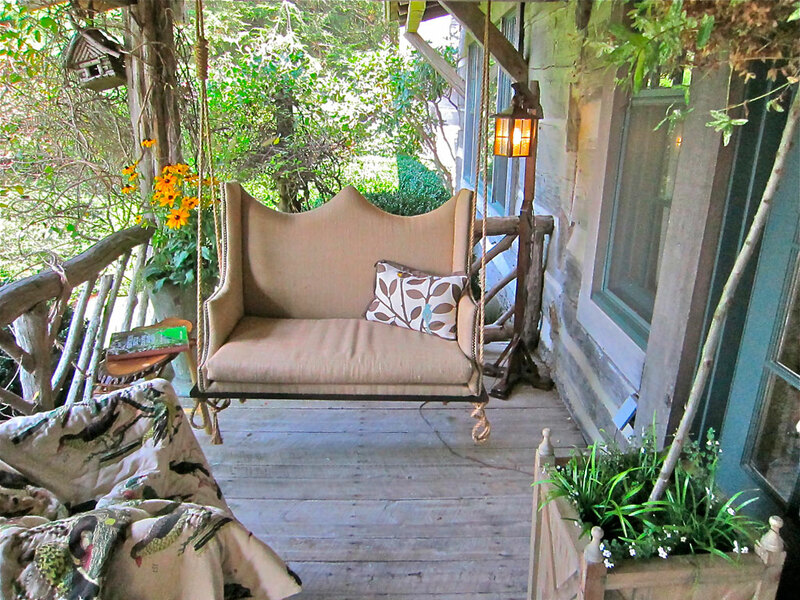 That is the most amazing porch I’ve ever seen—so want to nest there!! I love elegant and rustic together!